It is Wacky Casino Wednesday! 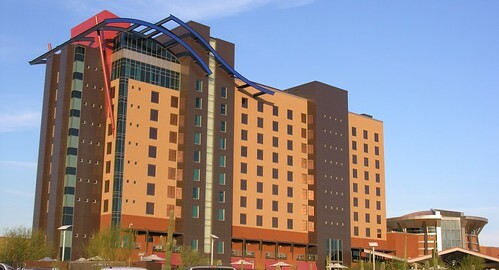 and we’re featuring the newest Resort Casino to open in the Phoenix area.In what seemed to be one of the fastest construction projects in history, the recently opened Gila River Indian Community’s Wild Horse Pass Hotel & Casino is now operating 24 hours a day just south of Phoenix on Interstate 10. But wait, that’s not all! 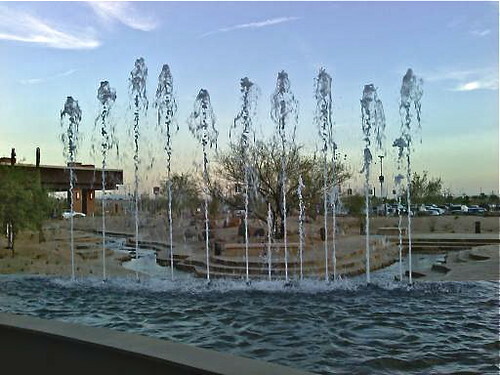 There is talk of an even bigger property in Glendale, Arizona if “everyone“ can come to some type of an agreement. 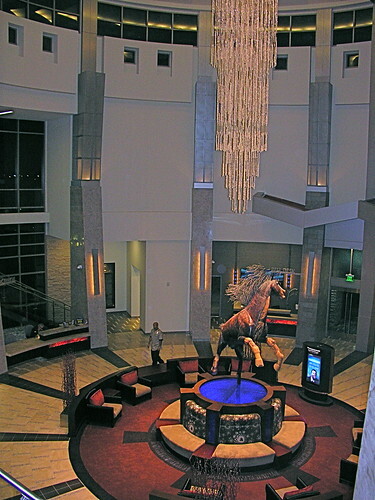 But for now, The Wild Horse Pass & Casino is KING! About the only thing that is free is the parking, but that’s better than most hotels on Vegas strip! Once you enter the massive 100,000 sq. ft. gaming area, the noise ramps up and the fun begins, if you are a gambler. Although it’s actually possible to go in a casino, walk around and never spend one penny on any of the enticing machines that seem to be calling your name, you might be one of those who listens to the call. In that case, there are 1,000 slot machines to choose from. If you haven’t seen a slot machine lately, don’t expect to be pulling on one of those arms on the side of the machine. Today’s slots are totally electronic/computerized masterminds at the art of trying to get your money to become theirs. The clicking sounds of the rotors have been quieted to the extent you can actually hear music emanating from the ceilings. If you are not a smoker (Indian Gaming in Arizona makes smoking permissible on the casino floor), there is an enclosed room with a small number of slot machines. Table games include Blackjack with table limits from $5 to $1,000. A separate 17-table Poker room is a non-smoking area with its own kitchen offering half-price menu items for qualified guests. So, what if you don’t gamble? There are still things to do. This entry was posted on Wednesday, December 2nd, 2009 at 6:01 am	and is filed under Arizona, Entertainment - Adult, Hotels, Native American, Travel. You can follow any responses to this entry through the RSS 2.0 feed. You can leave a response, or trackback from your own site.